In each kit, there are 15 tubes and 20 pronged charms, which means each time a child wins a round, she is not just winning a piece, but the chance to imagine and create something with it. It’s almost Hanukkah again—and when the candles are lit and the blessings are said, it’s time for the games to begin! 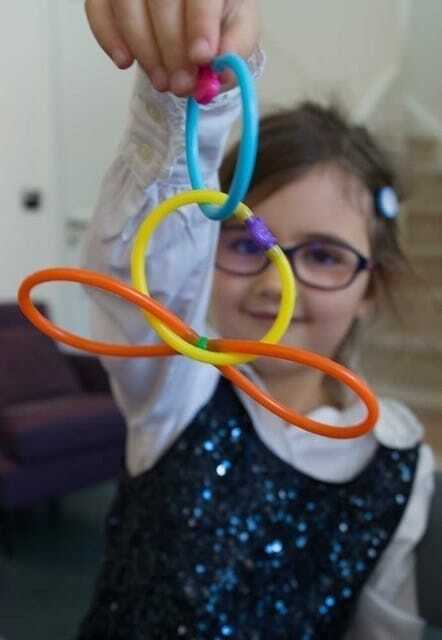 This year, rather than playing dreidel with chocolate coins or pocket change, Jewish families around the country are planning to use a new marker that kids accumulate as they win—the colorful tubes and pronged charms from Wacky Links™ , a creative new DIY kit for kids exploding onto the scene this holiday season. Parents can choose from themes like Princess, Rock & Roll, Safari, Connectors, Dinosaurs, Winter Wonderland, and more to add brightly-colored fun to the festival of lights. Kids ages 4-8 love them for the open-ended play they offer, but parents get the added benefit of knowing they are helping their child to develop fine-motor skills, hand-eye coordination, and problem-solving strategies–and children’s museums and art museums across the country have been early adapters of Wacky Links™ for just that reason. 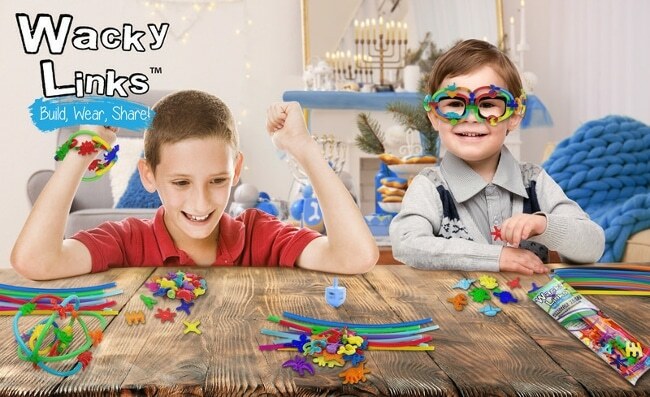 One Wacky Links™ kit retails for $9.99—and there are 8 themes in all, so families can choose a different one for every night of Hanukkah! Rachel loves to play dress up? She’ll love to make her own fashions with Wacky Links™! Samuel likes to decorate his sneakers? He can do it with Wacky Links™. 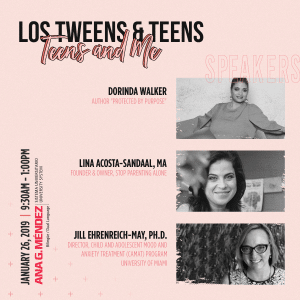 This entry was posted in Body, Holidays, Raising Tweens, Teaching & Education Tips and tagged Hanukkah, Jewish, toys for tweens. Bookmark the permalink.